CarFit - Ardent Solutions, Inc. Older drivers are often the safest drivers in that they are more likely to wear their seatbelts, and less likely to speed or drink and drive. However, older drivers are more likely to be killed or seriously injured when a crash does occur due to the greater fragility of their aging bodies. 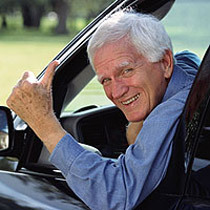 Driver safety programs improve adult driver safety by addressing cognitive abilities and skills, however, older drivers can also improve their safety by ensuring their cars are properly adjusted for them. A proper fit in one's car can greatly increase not only the driver's safety but also the safety of others. 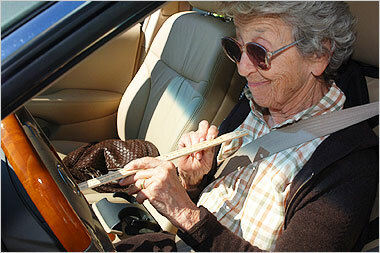 Help older drivers improve the “fit” of their vehicle for safety and comfort. Promote conversations among older adults and families about driving safety and the continued need for mobility options for independence. Link adult with relevant, local resources that can help ensure they drive safely longer. A Certified CarFit Technicians assists drivers through a 20-minute check-up and will provide education on ways to stay healthy and continue to stay behind the wheel. For an appointment or to learn more, please contact Denise Hoyt at 585-593-5223, ext. 1014. For further information about CarFit, please review Allegany County's ﻿CarFit Brochure ﻿or view the CarFit: Introduction video.